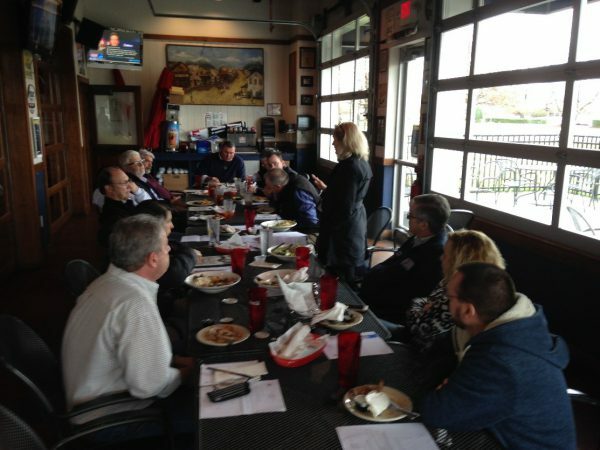 CRMCA strives to connect members and provide industry education on a quarterly basis in local markets through our CEC Chapter Meetings. Dating back to the 1980’s these meetings have truly evolved but no matter the time, one constant still remains – CEC’s provide a great opportunity with a short commitment of time and a casual setting to connect with customers and industry colleagues while gaining access to educational information, industry updates and general discussion. Our CEC’s had a strong start this month in all 10 market areas – Midlands (Columbia), Low Country (Summerville), Grand Strand (Murrells Inlet), Sand Hills (Fayetteville), East Carolina (Kinston), Triangle (Raleigh), Triad (Greensboro), West Carolina (Marion), Piedmont (Greenville, SC) and Metrolina (Charlotte). An excellent slate of programs offered a variety of topics as we heard from Local Economic Development Associations, CRMCA’s North Carolina Lobbyist (Connie Wilson), South Carolina Fix our Roads (Jordan Marsh), State Highway Patrol on Hours of Service & Safety, Stormwater Engineer from the local government enforcement agency and CRMCA members (Scott Palotta, Eddie Deaver & Dallas Owens) presenting technical topics including cold weather concreting, Type IL cement, and a project profile on concrete streets and local roads. May and August CEC Meeting dates have been scheduled and are on the CRMCA website. All market areas are open to any CRMCA Member so a pick a few and attend a location that’s convenient for you! Additionally, if you would like to be on the email list for certain chapters, click here and sign up for the areas of your choice. Thanks to all who actively attend – we look forward to seeing you and some new faces as well in May & August!